As the capital of a country that depends on international trade, international shipments from Ottawa- Gatineau to the US and overseas are seeing incredible growth. Along with the government sector, technology companies (led by Shopify) will contribute the most to export parcels to the United States, Europe and around the world. Companies based in Ottawa-Gatineau rely on low cost parcel shipping solutions for delivery to the US. Jet Worldwide Canada provides low cost economy express shipping from Ottawa Gatineau for delivery to the USA. Even with the renewed NAFTA - USMCA, shipping to the US from Canada require full regulatory compliance with US customs (US-CBP) and other US government agencies. Jet provides international shipping options from across Canada. At a minimum, all parcels shipped to the US from Ottawa - Gatineau Canada must be accompanied by an invoice for customs clearance. Keep in mind that some categories of items (such as food and drugs) may require additional information (see below). Shipping from Canada via Canada Post. When sending from Canada to the USA via parcel post, a postal customs form (CN22) must be completed. Canada Post shipments to the US are imported and delivered by the US Postal Service (USPS). Contact Jet for assistance with your customs paperwork for your parcel to The US. A Canadian B-13 export declaration is not required when shipping parcels to the USA from Canada. When sending foodstuffs to the USA, you must first register with the United States Food and Drug Administration. All foodstuffs sent to the USA must include a “Prior Notice” authorization number. Commonly referred as the “PN Number," this number must be included on the invoice along with a copy of the confirmation (which can be obtained from the FDA website). For shipments to qualify for duty free entry under NAFTA / USMCA rules, a NAFTA certificate of origin must be included with the shipment and mentioned on the invoice. 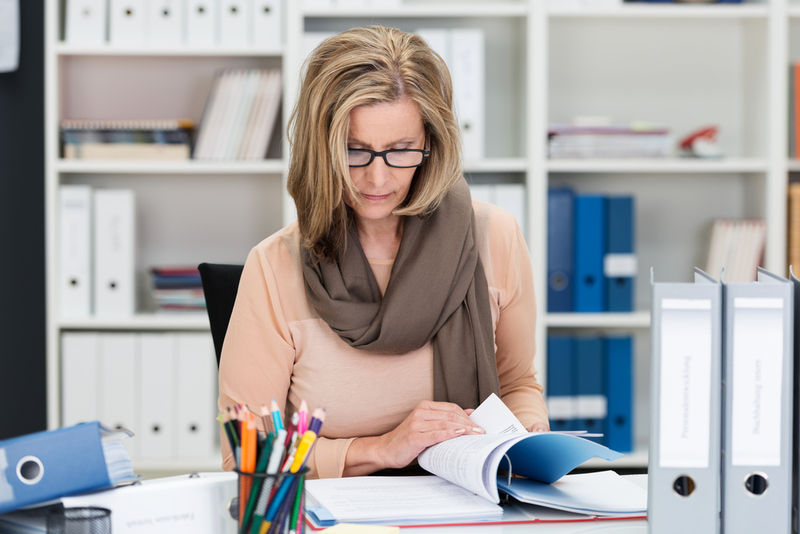 If you wish to send Trade Show related items, such as displays, you must include a Customs Form 3325. Note: Jet Worldwide provides special dedicated Trade Show Services - including dedicated time specific pickup/ delivery, repacking etc. HOW DOES THE VALUE OF YOUR PARCEL AFFECT THE CLEARANCE IN THE USA? Most shipments valued under $800 can be imported to the US duty free. The entry is referred to as a “Section 321.” Contact our team to get information on Section 321 entries. Informal Entry is required and duty will be assessed. Shipments containing restricted goods and/or valued over $2,500 must be cleared using a “formal entry.” A formal entry must be made in the name of the importer and usually requires a power of attorney from the importer to allow the carrier broker to make entry on their behalf. Formal Entries are much more complex and demanding. Many importers prefer to have such shipments cleared by their designated customs broker. Note: When shipping to the USA from Canada, many shipments are subject to approval of other government agencies and - regardless of value - require a formal entry. For food items to the USA, please see note above regarding "prior notice requirements." Contact Jet for information on restricted items to the USA. The main options for sending parcels to the US from Canada include Canada Post (least expensive for small items), Fedex/ UPS (Good ground service but expensive express), Jet Worldwide economy express parcel shipping to the USA and special services), and direct cross border shipping. As our industry leading blog proves, our team presents unbiased shipping advice to further our mission of connecting people, parcels and businesses around the world. Lowest cost option for small “packets” to the USA. The service is by far the best value for small shipments but have limited tracking and customer support. Canada Post becomes less cost effective as shipments get heavier than around 3 kg. Canada Post shipments are delivered by the US Postal Service. Customer service support is limited to on-line tracking only. FedEx and UPS dominate the market for delivery to the USA and offer reliable ground and air transport from Canada to the USA. While their ground services offer great value, their air express services can be expensive for small and medium sized Canadian companies. The ground delivery options from FedEx and UPS offer the lowest price - especially for larger parcels valued under $800 USD. Delivery via ground to most areas of the US are delivered within 6 business days. For ground shipments above $800, FedEx and UPS charge an entry preparation fee which can average between US$30 and US$40 (plus applicable duty and taxes). 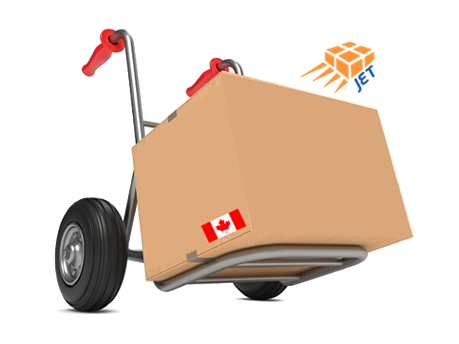 The entry preparation cost is included for most shipments sent via express from Canada to the US. FedEx and UPS have the largest overnight delivery options from Canada to the USA. To major cities, they offer next day morning, afternoon and delivery before close of business. While reliable and well known, their express services can be expensive for small and medium sized businesses. For most shipments valued under $800 to the USA from Canada, ground service includes clearance (see note above on valuation). Ground service is especially cost effective for heavier parcels to the USA. Express services include clearance entry preparation but may be subject to additional fees for other government agencies and non-standard entries (see above). 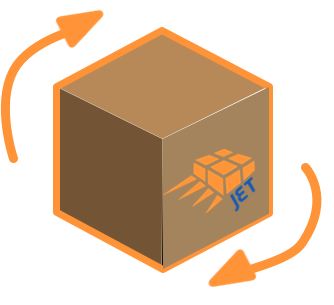 Jet Worldwide offers alternatives for shipping to the US including air economy express (delivery in 1-3 days with customs entry preparation included), border entry, and express consignment clearance. Jet has partners with the world’s leading carriers and local US agents to be able to provide reliable economy express delivery and special pickup/ storage and distribution options to the USA. 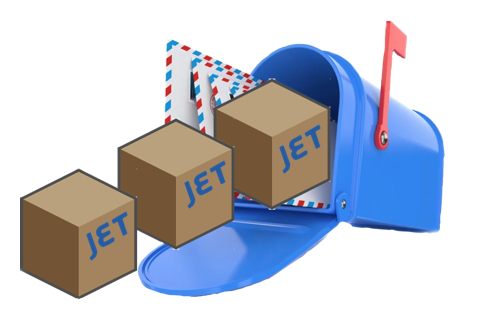 Jet worldwide offers low cost delivery from Canada as well as US domestic pickup and forwarding shipping to Canada. Our unique network across the USA can provide dedicated pickups, storage, repacking, relabeling and domestic delivery. Contact our team for rates and information on sending to the USA. Purolator does not have a major presence in the USA and resells the services of other carriers for their deliveries to the USA (mostly UPS). Special services: Dedicated time specific pickups, repacking, re-delivery, storage and distribution. Note: The information in this blog is meant for general information. US customs regulations and processes are complex and subject to change. You should consult with experts on your specific shipment prior to shipping your parcels to the USA.